Students who have entered UCI directly from High School can enroll in up to three 1-unit Freshman Seminars during their first year at UCI. These are a great way for students to meet faculty, explore academic areas and get to know other new students with similar interests. 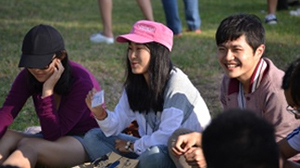 The International Student Excellence Programs (ISEP) assists UCI’s international freshmen to make a smooth transition into university life. Peer mentors who have had similar experiences to those new to UCI are an important part of the program as are group events throughout the year. Student Success Initiatives helps first generation, low-income, former foster youth and/or students from disadvantaged backgrounds transition to the university and maximize their college experience. Our goal is to help students thrive at UCI and graduate. Peer Academic Advisors are juniors and seniors from every academic unit and division on campus. Before beginning work in our respective advising offices, we undergo a rigorous quarter long training followed by continued bi-monthly training throughout the academic year, which covers issues related to: UCI policies and procedures, academic counseling, campus resources, and more. The Transfer Student Hub is committed to providing transfer students with tools and resources that support their academic and social success and help them successfully complete their college degree. 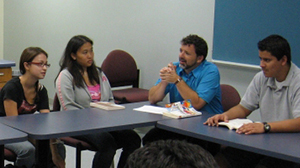 TSC organizes programs and services that support transfers in their transition to and through UCI and connects students to the campus community. Students who enter UCI without a declared major get their freshman advising in the Undergraduate/Undeclared (U/U) Advising Program in the Division of Undergraduate Education. A course focusing on transition to UCI, choosing a major, and campus resources and opportunities is an important part of the program.